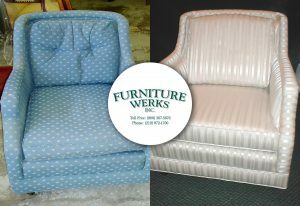 This upholstery project rejuvenates two pieces that were extremely past their prime. 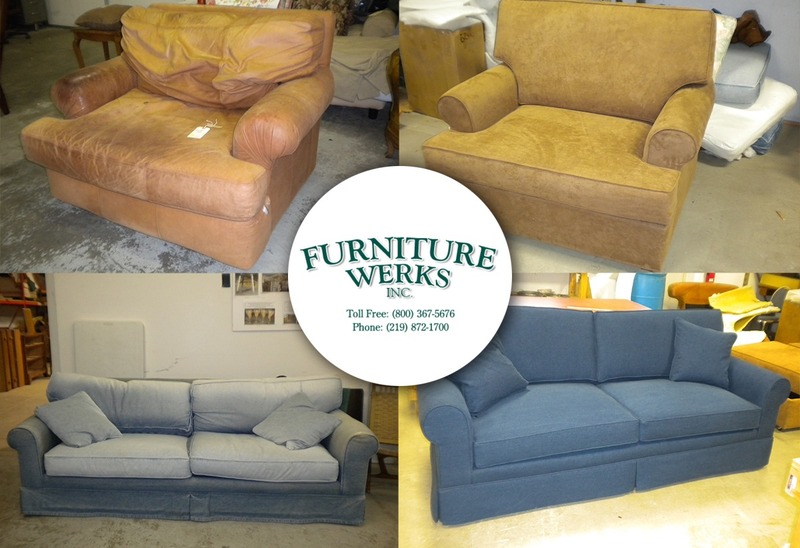 Would you guess the sofa was originally a solid deep blue and not the two-toned blue it came in? On both the sofa and chair, the poly-stuffed back cushions broke down, forever to look saggy and being uncomfortable. 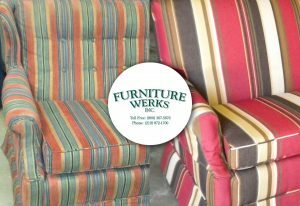 The remedy is filling the cushions with super-soft back foam with a Dacron wrap, along with new outer fabric covering. Seating comfort is restored with new high density, high resiliency seat foam. We also added new frame padding, new cushion fill, and new fabric all around. Both pieces look and feel new (and comfortable) again! 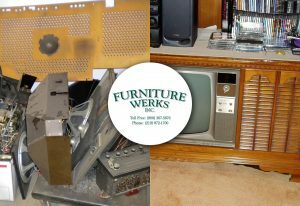 All the work was completed for less cost than to replace with new furniture.